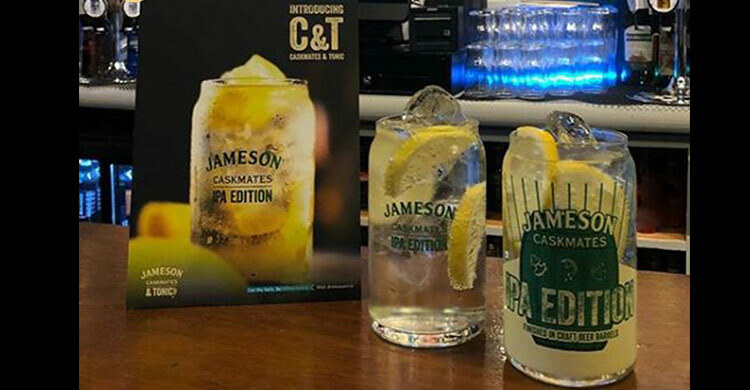 Jameson Caskmates IPA & Tonic, aka C&T….. for those who took up drinking gin and were never fully convinced they had made the right decision, try a C&T. Jameson Caskmates comes in at €6.00 a shot, so is in line with current gin prices. I think it’s a good move by IDL trying to make their more premium products more mainstream, and in this instance it works. Big things come from small beginnings. 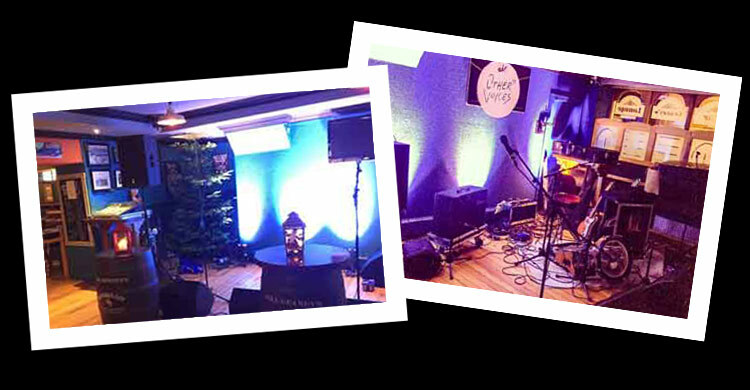 Other Voices started in 2002, a small production team and crew would go on to produce one of the most recognisable brands in the Irish music scene. I remember the first year, I was 12 years of age and got to sneak into a gig. I had to sit on the balcony on the edge of a seat. It didn’t seem a big deal at the time but as the years rolled on and artists like Ellie Goulding, Amy Winehouse, Elbow, The National, Damien Rice, Snowpatrol, Ryan Adams, Jerry Fish, The Thrills, Florence and the Machine, Hozier, Damien Dempsey and many others kept rolling in, along with the crowds..... I now know how special it was to have that opportunity. The first couple years saw the film crew passing a cable through the side window of the bar to stream a live picture of the performances. Contrast that to two years ago when Eir sponsorship brought fibre cable to Dingle and live wireless streaming to all the pubs in the town! Like technology, the show has come a long way. The weekend is now one of the busier weekends in the Town, right up there with bank holidays. The success of the show isn’t solely down to the production, but the willingness of the performers to come to Dingle. There is an easy sell there for artists as within the community there is nothing but positive stories and vibes connected with visiting Dingle town. "There is just something about this small town" – Damien Rice. Amy landed in Dingle from London and gave one of her most emotional performances. This performance became the heart of BBC's Arena Documentary ‘AMY WINEHOUSE: THE DAY SHE CAME TO DINGLE’. It was the best singing of her career and was voted in the London Time's top 25 greatest gigs of all time. Pep Guardiola is widely regarded as the greatest football manager of all time. His passion for the game is incredible and visible in the way he talks to his players about the game. He is a hands-on coach, regularly standing front and centre of the training ground talking his players through tactical positioning and moves. He is akin to Bobby Fischer on a chess board, moving pieces gracefully, with purpose and intent. The Manchester City documentary “All or Nothing” gives good insight of how he changed a culture and got total buy in from every member of the football club. 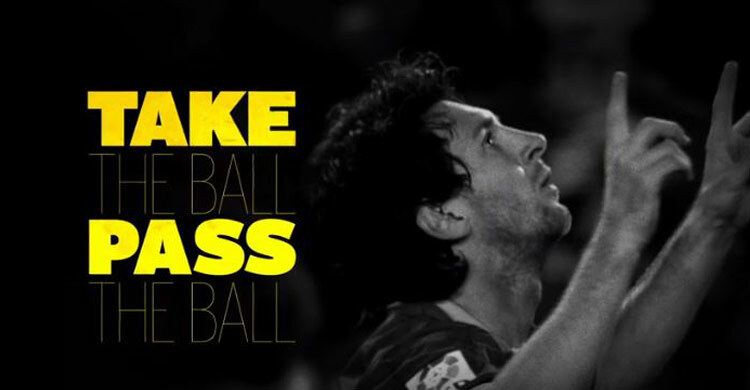 “Take the ball, Pass the ball” is a documentary shot during Pep’s time at Barca, where he created one of the greatest teams of all time, led by the greatest of all time Lionel Messi. I’m not having the Messi-Ronaldo argument! Anyway, this is a fantastic piece with lots of player input and behind the scene footage. The only catch is that it is only available at €7.00 from YouTube’s new player. Worth the tariff! Ireland had two training sessions together pre Argentina. This is a good indicator as to how far along the national team has travelled on their journey under Joe Schmidt. They weren’t sparkling but they got the job done. Now two from two they take on New Zealand in their quest to make history once again. They are a bunch of history makers so the feeling countrywide is that a win would be expected rather than hoped for this time out. 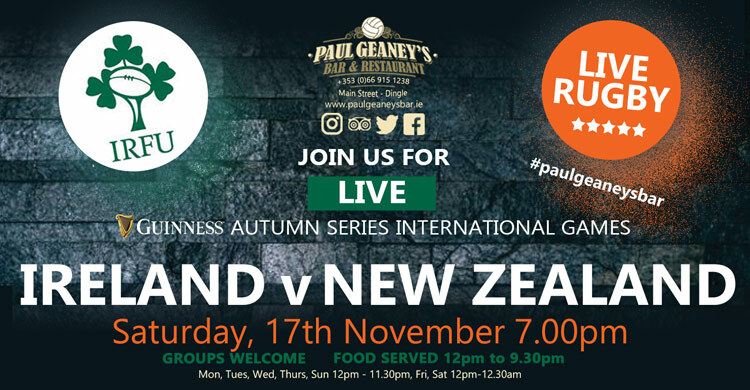 Beating South Africa in South Africa for the first time, beating New Zealand for the first time and also having a winning series in the land down under are all indicators that Irish rugby sits, if not on top of the pile, pretty closely to it. An interesting thing to look out for during the week of interviews is any reference to “The All Blacks”. Demystifying the myth of the all-conquering and unbeatable machine is one that Tri-Nations teams have used in the past. By referring to New Zealand as the All Blacks is giving an edge to them, or so a sports psychologist would tell you. So as a point of interest, see how many Irish players snub the term in favour of “them” or simply New Zealand! 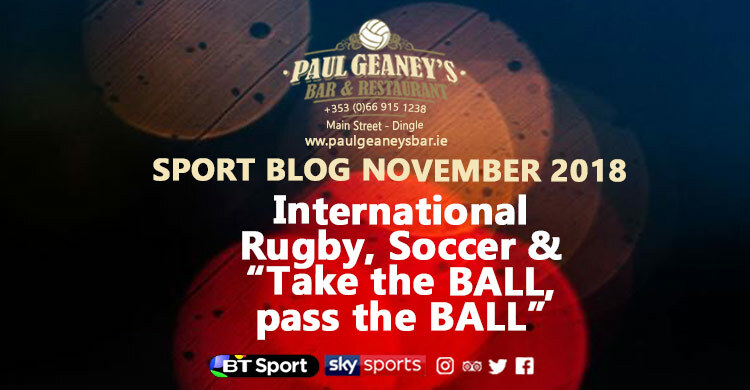 Ireland by a late penalty/drop goal! .....breaking football fans' melt since the late 00s! 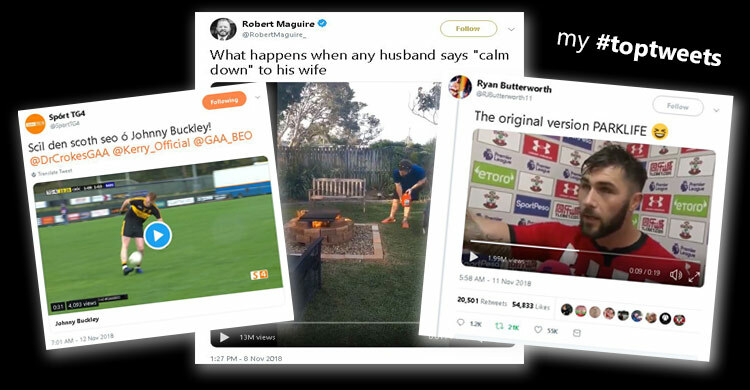 Especially in the republic, where at the moment things are so bleak people are talking about players they’ve never seen playing hopefully declaring for the national team. 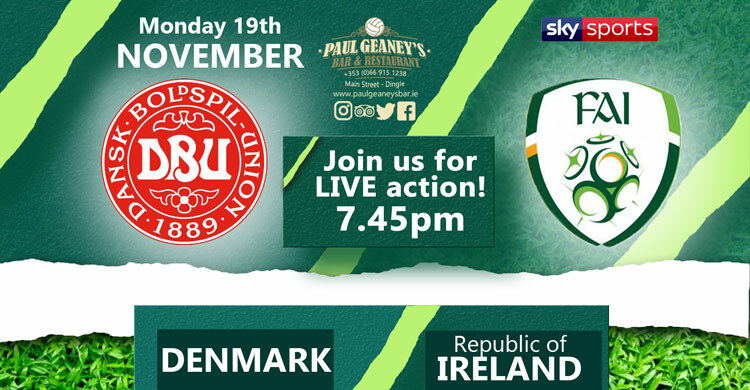 A nil-all draw with Northern Ireland last night in the Aviva is testimony to how badly things have gone.... what’s worse is that most people probably weren’t aware the national team were in action last night. Tough times, and tougher still for the real supporters who have to sit and watch the drivel every 3 months. Out with International breaks during the season I say, the world cup and euro qualifiers are enough! We’re going down the speciality coffee route. While I know how to make good coffee and what coffee I like, I am pretty much a novice when it comes to labels and % blends etcetera ! So for the next while I’m going to delve into it, figure out what’s what and bring a signature blend to Geaney’s. 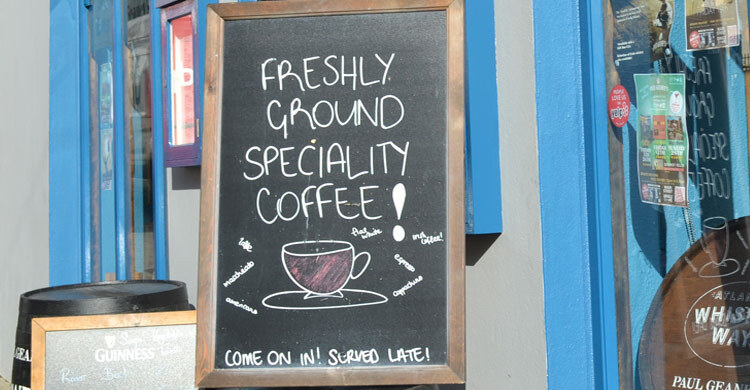 With the help of Pat from our gourmet coffee supplier Kinsale Coffee we can’t go wrong. It would be great to get the feedback of those most important to us also, the customers!